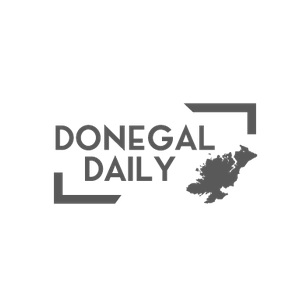 The Ballyliffin Lodge and Spa Hotel in Co. Donegal is calling on their supportive online community and couples to help them win two coveted awards. There are just hours left to vote for this year’s WeddingDates awards. The luxury 4* Ballyliffin Lodge and Spa in Inishowen is shortlisted for the title of Best Wedding Venue Ireland and Wedding Coordinator of the Year. As competition heats up, the Ballyliffin Lodge team are relying on their past customers to help them to the top. Any couple who celebrated their wedding in the hotel and loved the experience is asked to leave a review to help Ballyliffin Lodge win ‘Best Wedding Venue Donegal & Ireland 2018′. This is a chance for people to say ‘thank you’ to the Ballyliffin Lodge team for helping them make unforgettable wedding memories. At the same time, Wedding Coordinator Madeleine McLaughlin is calling on everyone’s vote so she can be crowned Wedding Coordinator of the Year 2018. Madeleine is known as an exceptional wedding planner who puts couples at ease as they design their dream day. The Ballyliffin Lodge Wedding Team would like to thank all couples and supporters who have cast their vote so far. The WeddingDates contest closes at midnight on Friday 30th November 2018.